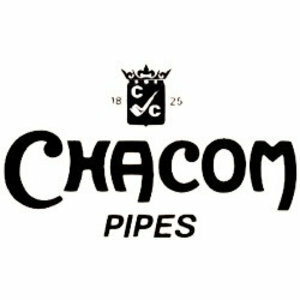 Beautiful smooth briar pipe with a white marmoured application made in France by Chacom. White marmoured acrylic mouthpiece, with a gold coloured ring. 9 mm. filter or without filter with the free adaptor. Limited Edition 9/144.